Ask most people what the largest drawback to owning an electric car is, and they’ll tell you that limited range means they are only really suitable for life in large cities. But don’t tell that to the group of Europeans lead by former round-the-world Solar Taxi driver Louis Palmer. Driving through eight different European countries and covering 2,000 miles in just under two weeks, the 20 assorted electric vehicles -- which included electric motorcycles and electrically-assisted bicycles -- successfully finished a trip few of us would dare attempt. 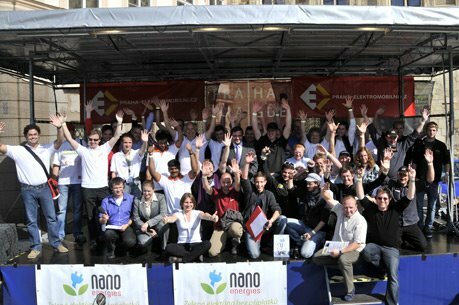 Starting in Paris, the teams drove through Belgium, the Netherlands, Germany, Switzerland, Lichtenstein and Austria on the way to Prague in the Czech Republic. En-route, they covered many different types of road and even had to battle early snowfall in order to climb the summit of the 7,1000 feet high Grimsel pass in Switzerland. Designed to be a showcase for sustainable, electric transport, the World Advanced Vehicle Expedition (WAVE) organizers ensured that every single electric vehicle was recharged using electricity generated from renewable sources. While long-distance trips by electric car are hardly new or easy, this particular trip stands out thanks to the number and variety of vehicles taking part. 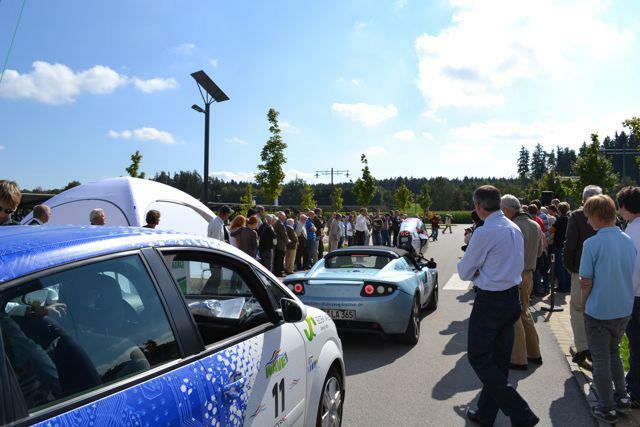 With everything from 2011 Nissan Leafs and Tesla Roadsters through to rare 20-year-old electric cars and home-converted gasoline cars taking part, the event took on the air of a moving educational electric car exhibit. Although we’re unconvinced yet of the validity of using an electric car for a long-distance trip, events like certainly appeal to those who want a unique and low-emissions holiday, and as Michael Thwaite pointed out earlier this year, makes for great water-cooler conversations.